After five weeks of relative silence, yesterday bore a bit of surprising news regarding Concordia’s Chinese student homestay debacle. Unfortunately, it wasn’t all good news. Last week, both the Concordia Student Union and the Graduate Students’ Association complained that they were not being involved in any process to address the Chinese students who were being poorly treated in their homestays. 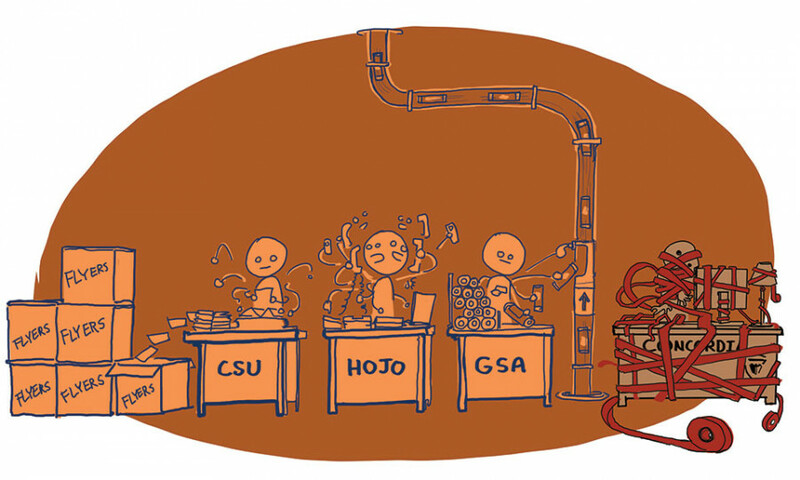 The GSA said it was time to take matters into their own hands; the CSU debated how to move forward without Concordia. All the while, both assumed that after five weeks of nothing, not a lot was going to change. CSU President Schubert Laforest was called into a meeting with Concordia VP Services Roger Côté, and The Link was able to speak with both participants afterward. The problem is that there just wasn’t a lot to show. The report was a disappointing two pages in length, and the information contained therein was lackluster at best. While the school has mapped out a 6-measure plan for moving forward, it’s incredible how little they’ve learned about the situation since we published “Taken for a Ride” [Vol. 33, Iss. 06], the article that broke the story, back on Sept. 25. If it’s true that Concordia’s admin knew as little as they claimed when the article hit the stands—and we have as yet no reason to doubt them—then this is not what the first five weeks should have looked like. The moment the story was in the hands of upper administration, every source named directly in the article should have gotten a phone call. The Housing and Job Bank and the CSU Legal Clinic have been working on this case for months. They have even more information then we were able to fit in print—information they were all too happy to share if it would mean improving conditions for the Chinese students in these homestays. Ultimately, the same hand that Côté extended to Laforest and The Link on Monday should have been seen by the CSU and HoJo while it was still September. But failing that, the progress update Côté provided has revealed no evidence of university investigation. It’s fundamentally odd that some of these questions remain when the answers are just across de Maisonneuve Blvd. from the administration. Meanwhile, the GSA was able to host a fairly productive conversation on the topic last week, inviting students to their office space to discuss how they felt about the issue, and what they thought would be the best way forward. Chinese students who had been through the homestay program went to discuss their experiences, and how those months had affected them. A foundation was also laid for a working group and awareness events in the future. If the GSA was able to accomplish all this with their relatively limited resources, why couldn’t the university muster anything close to matching it? While the letter from Dean of Students Andrew Woodall asking any students to come forward was a nice gesture, it was never going to be an effective one. As Concordia admits, the sensitive nature of these students’ situations means they’re unlikely to independently come forward to meet with an administrator they don’t know. They’ve already been burned by the university once. Instead, if the school had hosted an event in tandem with HoJo, the CSU and/or the GSA, they might have gotten several more students out with their combined resources. Despite this lack of early steps, there are reasons for optimism. Roger Côté has never given students a reason to doubt his good intentions. His spectacular relationship with student union presidents past is substantial on its own. He says he wants to speak to HoJo and he’s already met with Laforest. Let’s just hope that means that the next five weeks are more effective than the last. At this pace, it’s no wonder the student associations want to take this into their own hands.